What did 2016 have for in store for harem anime shows? A lot! But in all seriousness, they were mostly typical as expected! 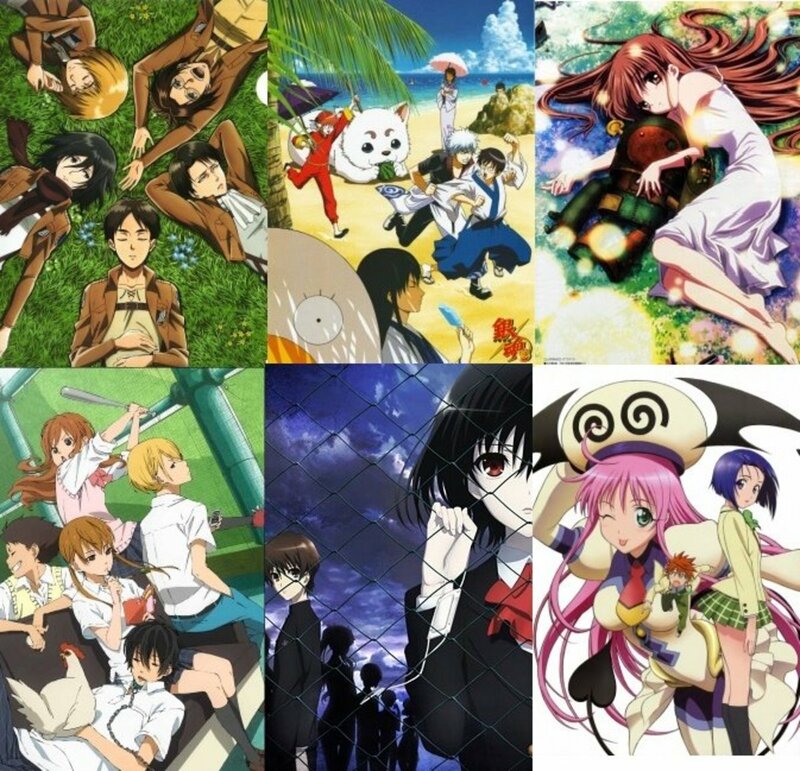 No year comes and ends without any attendance-check from the anime shows of the harem genre. They are always present! In fact, in the past few years, they have had too much of a presence to the point of disappointment. It’s a good thing not all of them are bad. Some are actually pretty decent. And some transcend and offer something that has never been seen before. So enough chatter, I say! 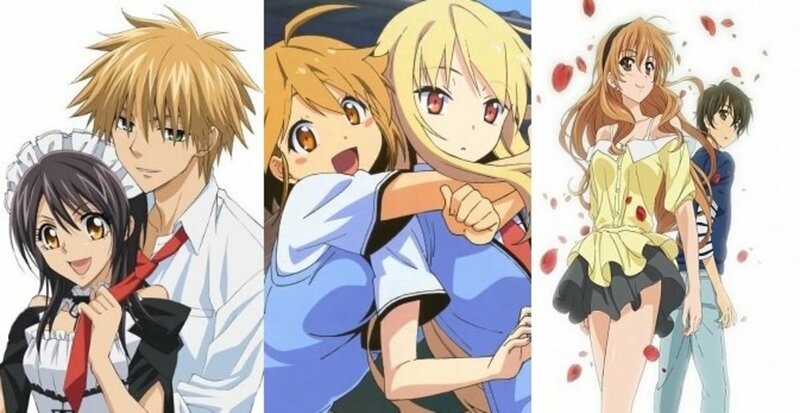 Here are the five best harem anime of 2016! If you know some other deserving titles from 2016, do everyone a favor and drop them in the comments. I’m sure everyone will appreciate the good deed. Thank you. 4. Netoge no Yome wa Onnanoko ja Nai to Omotta? Earth is in danger and its survival lies in the hands of a guy and his harem. But, what’s a “Hundred?” Is it the number of girls flocking around the main guy here in this show? Nope? Then, is it a weapon? Sure, it is—and Hayato Kisaragi has the highest compatibility with it! All while aboard a battleship serving as a military academy, Hayato tests his mettle as a warrior and garners the interest of many girls. Oh yeah, this is an anime of the harem genre. I shouldn’t be surprised at all. But then again, this show is actually pretty decent. It is a notch above a lot of others. While it is not too good, it is also not too bad at all! It does ooze with tropes, however, but the fact remains that the show actually evolves into a romance anime. I had low expectations. But in all seriousness, I did enjoy this anime. How many anime titles are listed here again? That is correct—FIVE! And among the five of them is the one that I find the best. Well, this is no secret. 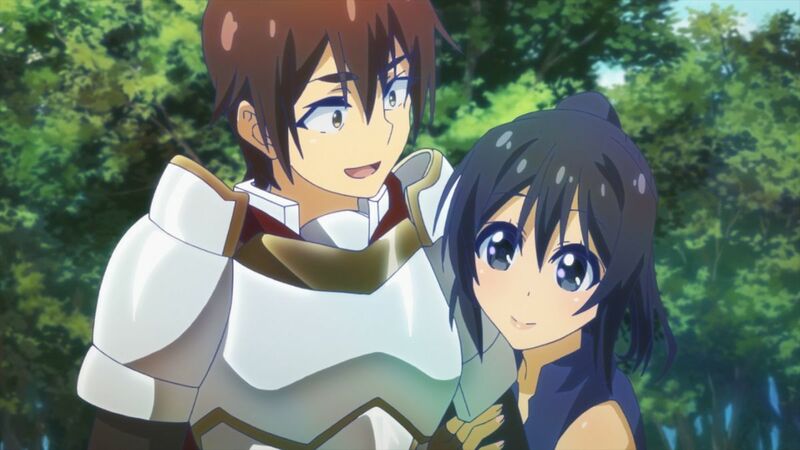 The best harem anime of 2016 award goes to—KonoSuba: God’s Blessing on this Wonderful World! So there’s this average guy—who’s a hikikomori N.E.E.T. (Not in Education, Employment, or Training)--who suddenly dies and ends up in a fantasy world. His name is Kazuma Satou, and what a lucky dude he is! Or not! The world he ends up in is like a typical fantasy Role-Playing Game. Due to some unexpected twist, he gets an odd goddess as his first companion. And then a childish sorceress who only knows “Explosion” magic. And then a female warrior who’s way into masochism. And the list goes on! What in the world is happening?! I did say that this anime is the best harem anime of 2016. Unexpectedly, it is also one of the best comedy anime of 2016! Woah, this is huge! There’s nothing to complain about this anime. It made me laugh. It made me cry—from laughing, that is! And it made me feel pleasure and satisfaction. 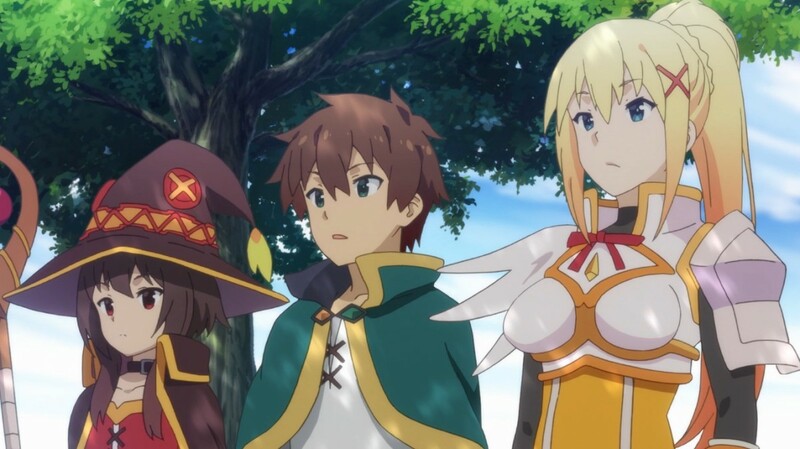 I absolutely have no regrets watching KonoSuba. Boy, was Masou Gakuen HxH a gigantic surprise! I didn’t expect it to be this sensual. Woah, it actually also has a story! 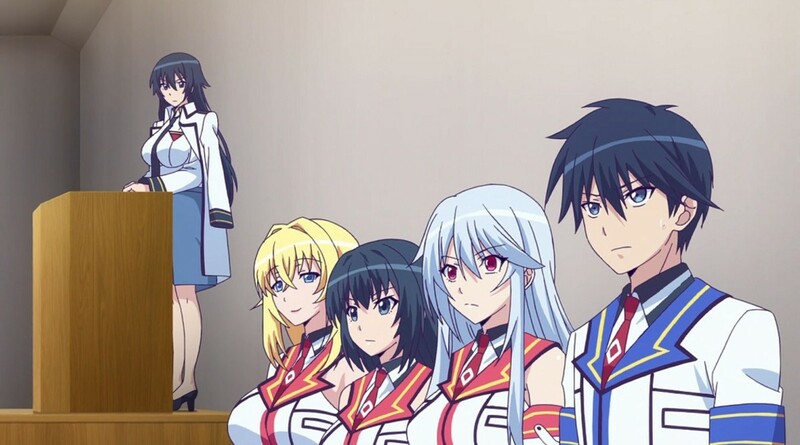 To put it in simpler terms, Masou Gakuen HxH is a borderline “H” anime (if you know what I mean) with a plot. Alternatively, it can also be considered a story with overwhelming amounts of borderline “H” scenes! 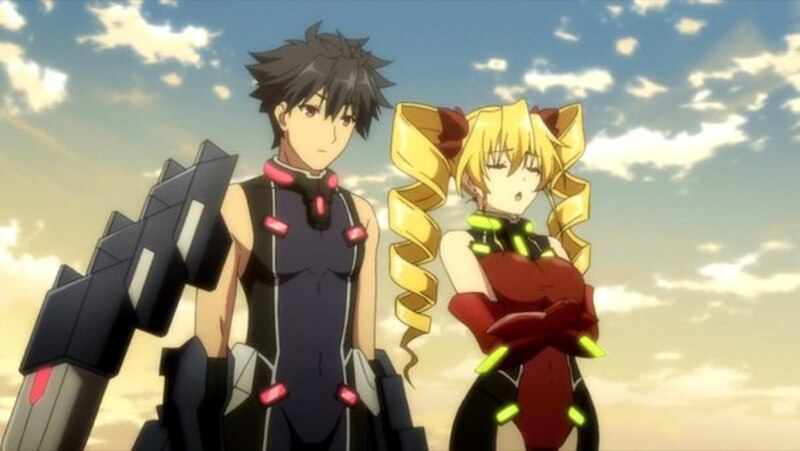 In Masou Gakuen HxH, the main character has this peculiar ability called the Heart Hybrid Gear. It’s an ability that allows him to level up girls by performing lascivious acts with them. Did I hear that right? Lascivious...acts?! With an ability like Heart Hybrid Gear, it is clearly obvious what this show wants to happen or what it all is about. It does have a decent story, and I like it. But that is not the point of this series! In terms of its themes, sound elements, and fan-service—it is phenomenal! As I have already said, Mahou Gakuen HxH was a truly surprising find! “Netoge no Yome wa Onnanoko ja Nai to Omotta?” roughly translates to “And you thought there is never a girl online?” and is about a teenage guy who got his heart broken online, rendering him unable to trust girls in the internet gaming world anymore. Why wouldn’t he? The girl he proposed to online turned out to be an older guy in real life! Talk about a double whammy! And so, the plot thickens. 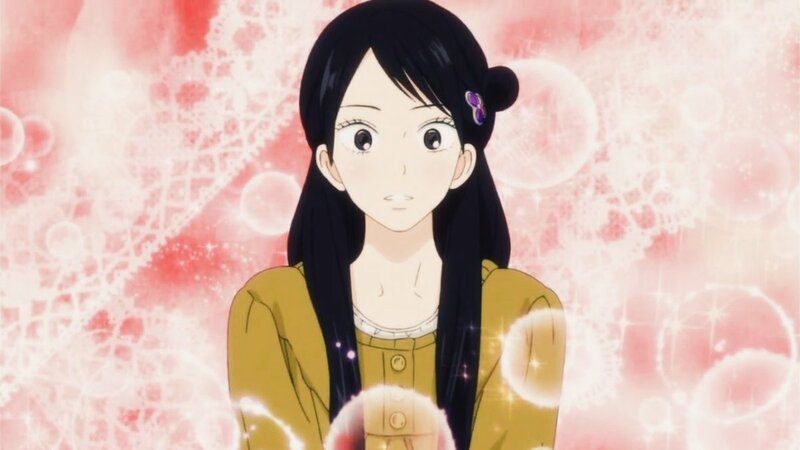 What I like about this anime is that it is so refreshing. It doesn’t feel too generic—at least for me. And the art? It is kind of unique in my own perspective. While it certainly isn’t going to receive any award for anything soon enough, it did pique my interest. I find the circumstances of the main guy really amusing. Imagine, he doesn’t trust online girls anymore. But then, after some time, he unexpectedly discovers that his new party mates are actually all girls from his own school. Yet, it’s another twist for him! I enjoyed this show, that’s for sure. For some reason, it scrabbled real close to my heart; and before I knew it, I was already charmed completely! This is one of the harem anime in 2016 that I watched purely out of curiosity. I didn’t expect much, so I did took some pleasure watching it. 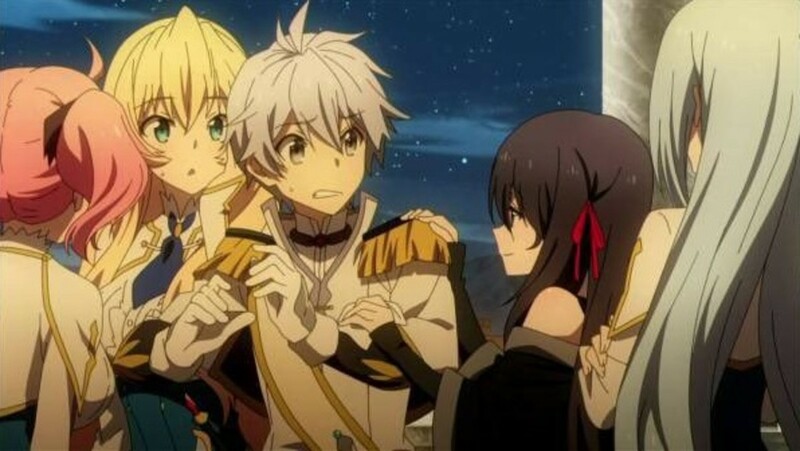 I kept on repeating to myself: “This is your typical harem anime. Watch it mindlessly and there won’t be anything to regret that much.” And I was right! Saijaku Muhai no Bahamut wasn’t really bad per se. Actually, it was mediocre—in a good way, that is! This show is about a young man who accidentally trespasses in a female dormitory’s bathing area. Okay, it is not really about that, but you get the point. It is actually about Drag-Rides (ancient mechanical weapons of the kingdom) and their applications in duels and battles. But then, our main hero has his own weird title. He is the Undefeated Weakest! Somehow, after participating in a duel with the first girl he accidentally peeks at, he ends up in the school that’s supposed for females students only! Woah, what a story! I did find the story of this anime quite interesting, but also severely lacking. What made up for the lack thereof, is the art. It wasn’t the best, but my eyes were pleased. As for the characters, I actually liked them all. No one was really annoying. This show may not be the best example for a truly noteworthy harem anime, but it is one of the best examples for typical ones. As a show of the genre in question, I must say that it is a jack of all trades, but a master of none! Which of the titles listed is your favorite 2016 harem anime?